Three panelists -- Alan Johnston of the UK (pictured left), Giuliana Sgrena of Italy, and moderator Hamid Mir of Pakistan -- have survived kidnapping by terrorist organizations. Two members of the panel -- Peter Bergen and Hamid Mir -- have interviewed Bin Laden. CNN analyst and author Peter Bergen -- who conducted the first TV interview with Bin Landen -- has written a biography of the man. Hamid Mir is the only person aside from Robert Fisk to have interviewed Bin Laden on three occasions and Mir was the last person to have interviewed Bin Laden (the interview took place in Kabul in Nov. 2001). Two somewhat distinct themes emerged in the discussions. The first concerned how to survive captivity and how to avoid getting kidnapped in the first place -- whether through improved training or otherwise building greater journalist know-how. The second theme corresponded to the description of the panel session, set out in the conference agenda as follows: "Should journalists, who provide the public with the information they need to understand the complexities of the battle against terrorism, talk with terrorists? Do they do so at the risk of becoming pawns in the terrorists’ public relations campaigns? Where should journalists draw the line?" Hamid Mir: Margaret Thatcher said, "Media is the oxygen for terrorism." Agree? Peter Bergen: Yes, but publicity is oxygen for most things in life. We can't self-censor though. I believe the public has the intelligence to decide what is an appropriate tactic and what is not. So yes, terrorism gets coverage. In the aftermath of 9/11 in the Muslim world demonstrations were not huge. Pro 9/11 demonstrators numbered just 30 thousand in Islamabad and another 30 thousand in Jakarta. Contrast these figures with anti Iraq-war demonstrations which were much larger -- hundreds of thousands demonstrated if not millions demonstrated (in these cities and elsewhere throughout the Muslim war in protest of the American invasion). Hamid Mir: Your experiences as a captive? Alan Johnston: Pleased to be here in Helsinki. I want to say thank you to IPI for their support while I was captive. In Gaza I spent time with the Army of Islam. Some good things came out: I suppose I got to learn more about myself in captivity. And I got to talk to people with an extremist or jihadi mindset. I spent time with men in the lower ranks; those people guarding me. Straightforward men. Men lost in their religion. Men who had failed, really, to understanding the best qualities of Islam: the compassion, kindness toward strangers, etc., that one encounters throughout the Muslim world. One of my guards only communicated in sign language, assuming that to talk to me might actually pollute him. The leader of group was interesting. The first night of my kidnapping I was locked in this room when I heard a key turning in the door. A large figure in white robe appeared. It was as if he was looking to inspect what they had just caught. He began to ask questions of me. He asked me my religion. I said "Christian." Then he asked me if I am "a crusader like George Bush." Just as some in the West seem to regard all Arabs as terrorists, some Arabs regard all Westerner as Crusaders. Giuliana Sgrena: In Italy we had discussions about the Red Brigade. We discussed about whether it is useful to publicize the documents they would feed to the media. The Italian media came to no consensus on this question. We can give the information away, exert a certain control over the timing of a publication. Do we follow timing of the terrorist? We can postpone the transmission of a video so we don't follow the agenda of the terrorist. We can make choices about timing. My kidnappers taped 2 videos. Some 400,000 demonstrated for my release. I didn't know what happened outside when I was kidnapped. My kidnappers told me of the photos all around the country -- about all the protesters supporting me. Football team players played a match wearing the word "Giuliana" on their jerseys. This impressed the kidnappers, who, fortunately, were supporters of Rome. Hamid Mir: Giuliana and Alan had been rescued through negotiation. On the other hand, I was rescued when my building -- I was locked up in the basement -- got bombed and my guards were killed! Bergen: (Commenting on the recent Bin Landen tape shown by Al Jazeera). These days, most terrorists groups release their tapes on the Internet. There are no intermediaries. 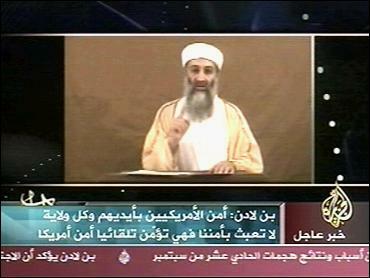 It is quite unusual for Bin Laden to release an Al Quaeda tape to Al Jazeera. Bin Laden talked about 1 million refugees coming out of Pakistan's Swat. Now there are 2.5 million refugees. So coincidental, or tape was held until newsworthy tape. No mention of Obama's trip to Cairo. Is Al Jazeera a tool of Bin Laden? No. Their audience is smart. Also Al Jazeera makes news judgements. News judgements are not moral judgements, they are about news. News is not a moral category. As for journalists, if we had information about an imminent attack, we would certainly tell the authorities. Alan Johnston (photo): BBC used its publicity card in my case. They had no better options. But in other cases, you would not want to go this route. Sometimes there should be no publicity. Audience member from Slovenia: When I was working for BBC in Northern Ireland in the 1970's, there were no instructions, my wife was just informed of the extra insurance policy! Hamid Mir: There is a lack of proper training of journalists for covering wars in South Asia. But I am aware that CNN and BBC have such courses. Alan Johnston: I had done BBC kidnapping training. I suppose it was about as helpful as any course could be. I must say it is hard to recreate the feeling of actually being kidnapped though! Unfortunately, many journalists get no such training. Question: Should the media or government negotiate with terrorists? Hamid Mir: This is job of governments in my opinion. Giuliana Sgrena: I think that a human being more important than a lot of principles, so I think a government needs to do a lot of things to bring about the release of a captive. So I appreciate it very much if my government paid for my release. Other governments pay secretly or pay in other ways. Though they do not admit it -- officially. Question: Hopefully it won't happen to anyone in this room. But do you have any advice for other journalists, should they get captured? Alan Johnston: I had a radio. I heard Terry Waite interviewed, Terry Waite said to remember "mind and body are extraordinary things and you will find more strength than you might have expected." Ingrid Betancourt endured a much longer time in captivity. So of course did Primo Levi. People endure extraordinary things. First thing: you worry might lose your mind. But you have more strength than you might imagine in a crisis. You shouldn't despair. Hamid Mir (photo): First, research and study the area. Don't be embedded with army or militants. This way you become a target. Hire a local translator/guide. Always be friendly with the locals who are the real victims of the problem. They provide you the true information. By contrast, the army or militants provide you with propaganda. Punjabi journalist in the audience: Never lose your mental balance! Question from Russia Today: Is kidnapping on the increase? How to counter the trend? Hamid Mir: In Pakistan the media is being seen as the enemy. Because they think the media is against them. Giuliana Sgrena: Don't embed yourself with the military. Question from an Indian: Did captivity change your understanding about the group. Did you wonder if Stockholm Syndrome would impact you? Did it? Alan Johnston: Having been there -- in Gaza -- for 3 years prior to capture, I absolutely condemned what was happening. I will say I was lucky I wasn't tortured. I am lucky I wasn't subjected to anything like Abu Ghraib. I will always be grateful for that. While I was in captivity, listening to the radio they gave me, I heard on the BBC a report about a British soldier (Cpl Donald Payne) who was found to have tortured an Iraqi receptionist (Baha Mousa). That sounded far worse than anything that was happening to me. Nigerian asks question: Do you think your kidnappers did not know what they wanted? Alan Johnston: Clearly they wanted prisoners released. But the mad politics of Gaza swung in my favor: Hamas won control of Gaza over Fata. So Hamas wasn't going to have a small jihad group operating on its turf. So they took over the situation. Events turned in my favor. Peter Bergen: One way organizations -- terror organizations -- make money is through kidnapping. Getting now to the subject of talking to terrorists... We did the first TV interview with Bin Laden. First time he spoke to Western audience. He declared war on US on CNN. In 1997. Prior to embassy bombings. It was useful for the public to know who this person was. Why he was at war with us. But because Bush always said Bin Laden had attacked us because of "our freedoms" -- rather than our policy -- many Americans don't know the reason Bin Laden attacked us. Our interview was useful as warning and as an explanation. Hamid Mir and others have put pointed questions to the terrorists. In an interview, you confront the terrorists. Peter Bergen (Explaining what got him interested in Bin Laden). Following the World Trade Center attack of 1993 I went to Afghanistan to look into that question. The first mention of Bin Laden came in 1996 in a book by Judith Miller. It struck me that these guys spoke English; how disciplined they were. I spent a lot of time preparing questions. I had to submit questions in advance. As it turned out, the questions Bin Laden would not answer were mostly personal: family and money. He answered the important ones (Jotman photo: Bergen). Giuliana Sgrena: (When civilians are used as means to an ends). Question: Why do you think the Taliban are not terrorists? Giuliana Sgrena: Dangerous ideology but can't put them all together. To say that Taliban = Pushtu = terrorist. That's not helpful. Alan Johnston: Know the realities on the ground. Come up with a line of questioning that holds up to the light the arguments being made by both sides. Hamid Mir: Generally, the Pakistani media are just concerned about avoiding civilian casualties. Question from a Member of Parliament, India: The terrorists feel they are right. The focus of the media is not on the root causes. Hamid Mir: Why is the media in the habit of bracketing terrorism with Islam? Peter Bergen: Non-state actors that kill civilians are terrorists. That's an agreement we can come to. The killing at the abortion clinic was not described as "Christian terrorism" in the US media. I would point to the large number of those killed by the Islamic terrorist groups -- mostly targeting Muslims. It's something to do with Islam. It's a description of the fact that the people doing these activities believing they are doing it in the name of God. They say they are doing it to defend Islam. Alan Johnston: In Gaza I tried to explain this and that. Mostly to explain what people are doing, and what they say they are doing something. Peter Bergen: Terrorists have media strategies. These strategies have little to do with anyone in the room. They have a propaganda outfit. People in the room are being bypassed by direct online publication (by the terrorist groups themselves). Question: We don't even know who is a civilian. Are settlers in Palestine civilians? Question: How did you manage to meet Bin Laden three times when the whole world is looking for him? Hamid Mir: Various intelligence services have interrogated me. The US ambassador to Islamabad said "you are safe only because we have a record of your hard questions." I was the only journalist left in Kabul. After my interview, the Taliban left the city. I got introduced (to Bin Laden) out of the madness (chaos). By the way, Robert Fisk has also interviewed Bin Laden three times. Question: Maybe you should train the CIA since you can find him and they can't! Hamid Mir: That's not our job to train them, it's their job to learn from us. Technology and innovation: Climate change Rx? Asia's future: Capitalism sans freedom? What kind of bear is Russia? Can we blame the financial crisis on the news media? Is the Nordic model worth emulating?